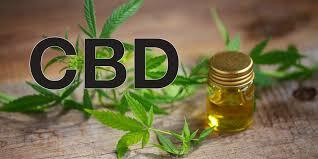 GREENLAND, NH -- CBD is quickly becoming one of the most highly sought after and used supplements in the world. Why? Because its benefits are finally being discovered and shared. It also just so happens to help alleviate 3 of the most common 21st-century health conditions: MUSCLE & JOINT PAIN, STRESS & ANXIETY and INSOMNIA . So What is CBD (Cannabidiol oil)? There are many misconceptions out there of just what CBD is because often it`s thought of as marijuana, but that is misinformation. CBD, also known as cannabidiol, is a non-psychoactive (it won’t make you feel high) compound found in cannabis. It is one of over 60 different compounds present in cannabis. CBD is usually present in cannabis in high concentrations along with THC (the compound in cannabis that is psychoactive and makes you feel high). But CBD is non-psychoactive because of its lack of affinity and attraction for CB1 receptors (the receptors that cause one to experience a cerebral high). There are two types of cannabinoid receptors in the human body; CB1 and CB2. Both are naturally found throughout the body but are most common in the brain and immune system. CB1 receptors are responsible for marijuana’s psychoactive effects. These receptors affect memory, mood, sleep, appetite and pain sensation. CB2 receptors have anti-inflammatory effects and are found in immune cells. CBD does have a great affinity and or attraction for CB2 receptors making it a great natural anti-inflammatory and immune system enhancer. Ka lani Massage Specialists are proud to announce this innovative pain management treatment that uses Cannabidiol (CBD) in conjunction with therapeutic massage techniques to help people suffering from chronic pain and inflammation. “We are very excited to announce CBD Massage to our menu of treatments, as the benefits of CBD aligns with our mission to bring high-quality, thoroughly researched information, treatments and products to our community to help them relax and heal” said Kelly Lavallee, owner of privately owned, Ka lani. “We didn`t just rush into this, we carefully researched CBD`s benefits to make sure this was something to benefit our clients, after all we have won 1st place “Best Massage on the Seacoast” for the past two years and strongly believe our success is rooted in the trust we`ve built with the community and the professionalism of our Therapists. We also, very carefully researched CBD suppliers choosing a licensed, locally sourced caregiver in York Maine which has been providing quality organic products since 2012. Their products have won first place in several competitions for potency and quality. Knowing where your CBD comes from and how it was cultivated and extracted is very important. There are many cheap alternatives out there, online and elsewhere, but knowing the growing conditions of the soil, overall environment, and extraction methods is crucial, many of these options are cultivated using pesticides and can also absorb contaminants from the soil it`s grown in and are often extracted using different solvents such as butane, CO2, ethanol and petroleum ether. **** At Ka lani, we take great pride in seeing our clients progress and feel their possible best, to help facilitate this we also include a 10 ml "roll applicator" bottle for clients to take home for use between their scheduled treatments. First we need to dispel a common myth. The products used at Ka lani by your massage therapist will not get you stoned, it is more of a way to open up your skin’s sensory profile, which leads to many other health benefits. Given enough time for these topicals to take effect, you should feel more revived and refreshed, as your tendons and muscles begin to heal from the combination of massage and the Cannabinoid/CBD infused products. There are two principal varieties of the cannabis plant: marijuana and industrial hemp. There are more than 200 types of cannabinoids in the cannabis plant. The cannabinoid that is most commonly known for getting people high is Tetrahydrocannabinol (THC). However, there has always been a less popular cannabinoid. It is called Cannabidiol (CBD) and it delivers a calming and anti-inflammatory effect when applied to the skin .It has long been known that, Cannabinoid/CBD Oil has the ability to reduce inflammation, relieve anxiety, suppress muscle spasms, & promote healthier skin. Recently, science and modern extraction techniques have now made it possible for Cannabinoids/CBD Oil to be legally extracted from plants. Thus we are able to offer all the of the health benefits without the high! Legal in all 50 states, just pure relaxation, and the latest in the skin care and wellness revolution. ​Dr. Jean Talleyrand, M.D. founder of MediCann explains how CBD provides relief from pain and inflammation. In an interview with Massage Magazine, Talleyrand explained that both THC and CBD stop pain through the endocannabinoid system. “This system consists of at least two receptors, termed CB1 and CB2 … the receptors are in every organ, including the skin, and typically found on nerve cells and immune cells in these organs,” he said. The [endocannabinoid] system modulates inflammation and pain, said Talleyrand—and because inflammation may also cause pain, the system affects pain in two ways. First, THC directly binds to both CB1 and CB2 receptors, and so directly influences pain, while CBD binds to a TRPV1 receptor. That TRPV1 receptor has, in turn, a positive influence on the CB1 and CB2 receptors, which is how CBD indirectly mitigates pain, Talleyrand said. The Anti-Inflammatory Properties–One reason you should consider a CBD Massage is the fact that it can help heal certain ailments. Unlike marijuana which has high THC levels that have narcotic properties, the CBD in the massage oils offered at Ka lani, contain healing properties and no narcotic effects. Not only will you not be getting high during or after the massage, your body will benefit from just the healing anti-inflammatory properties of these oils. Combined with the therapeutic massage performed by our professionals, you can begin to feel relief from the painful symptoms associated with arthritis, chronic pain, sports-related injuries, etc. The CBD works to soothe those sore joints, giving you a boost of energy and allowing you to feel like you are not having difficulties with your muscles and joints. The healing sensations of the massage are only amplified when the oils penetrate the skin and reach the areas that are causing pain. Increased Sensory Stimulation–The muscles and joints react immediately to a massage, but add in the CBD oils and your entire body and senses will be stimulated. The skin is the largest organ on the body, and it needs to be taken care of just like other organs to be able to keep you healthy and feeling strong each day. A massage with the CBD infused oils will stimulate your skin and help you to feel more alert and alive. The massage therapist performs the treatment in a way that not only are the muscles and joints stimulated, the skin comes to life and will feel soothed & less irritated. Skin cells are being produced every second of every day, and the CBD infused oils allow the old skin cells to fall away, rather than clog your pores,thus helping to revitalize your skin, tighten the appearance of fine lines and wrinkles, and improve overall skin tone. In addition to stimulating the skin surface, the CBD oil helps to relax muscles and ease any tension or pain that you are feeling. Now add into the mix a massage therapist rubbing these all natural healing oils deep into your skin and you now have one of the most therapeutic and relaxing experiences possible. Stresses of the day melt away and you will fall into this euphoric state that allows you to easily deal with the troubles in your body or mind. This is perhaps one of the best ways to decompress after a long and stressful day at work. It will revitalize, rejuvenate, and replenish your body. Alleviate Stress and Anxiety–One of the most common ailments people experience today is stress and anxiety. People are worried about their jobs, about their money, about their children, about their health, and the list goes on and on. By the end of a day, the added stress that a person imagines in their mind begins to take a toll on their body. The physical symptoms begin as nervousness and escalate to anxiety, which can lead to deep bouts of depression if not dealt with in a timely manner. Incorporating CBD oils with massage can help work on eliminating your stress & anxiety. CBD massages can put a person in a happy place, allow them to look forward to a reward each time, and wash away the stress that can lead to depression and nervous system degeneration. Relieves Chronic Pain–Those who suffer from chronic pain often turn to CBD oils to help them to cope with the pains they feel on a daily basis. The reason that the CBD is such an effective method for dealing with any chronic pain such as a stiff back or arthritic hands and feet, is because it decreases the inflammation, increases blood flow throughout the affected areas, and soothes that tension in muscles associated with the chronic pain. CBD oil has also been found to be beneficial for helping to reduce blood pressure, provide stress relief, and rehabilitate muscles that have endured various injuries, wear & tear. During these massages, the CBD oil acts like a natural aid to loosen muscles and allow faster healing. The CBD oils help muscles to relax just a little easier.